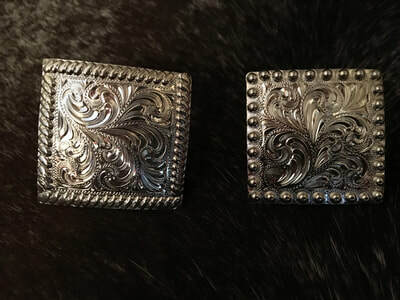 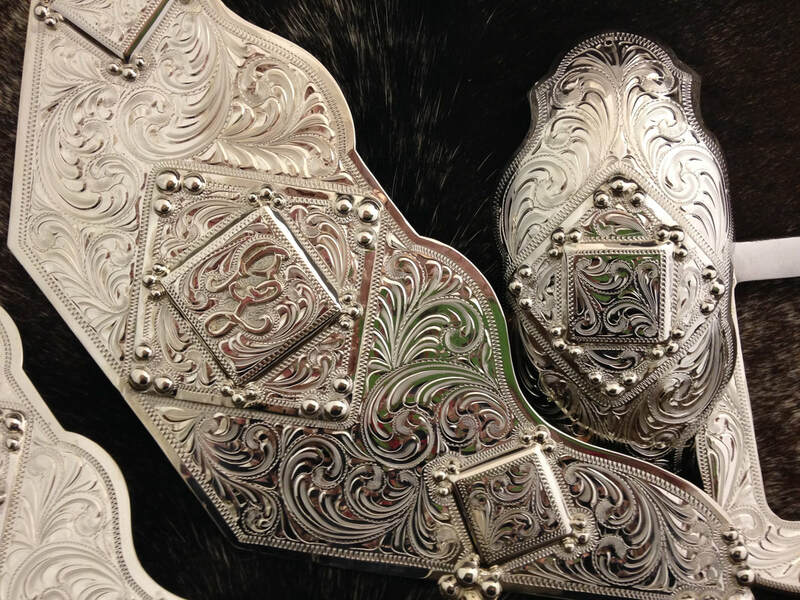 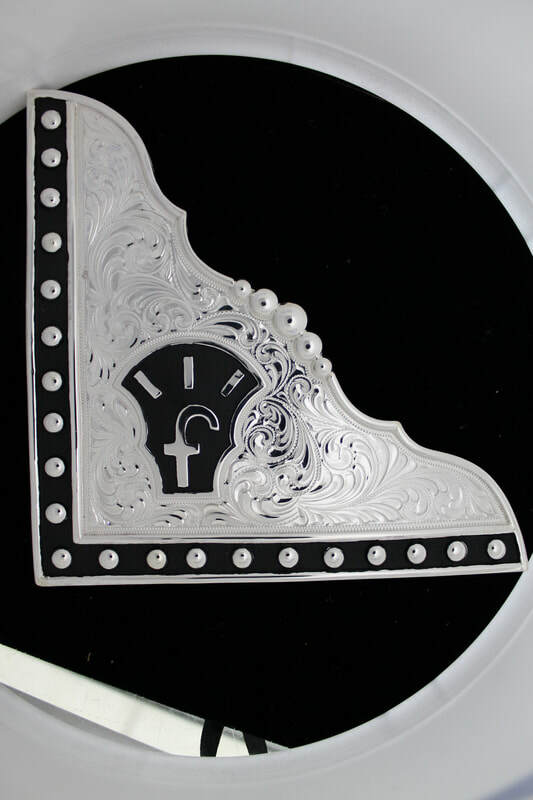 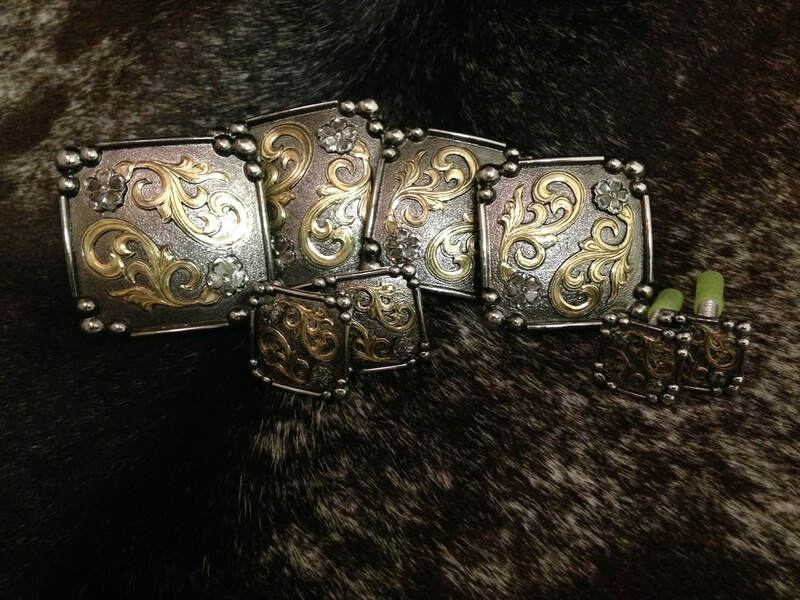 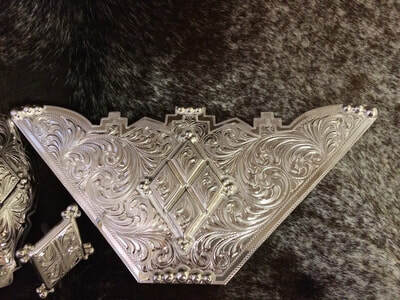 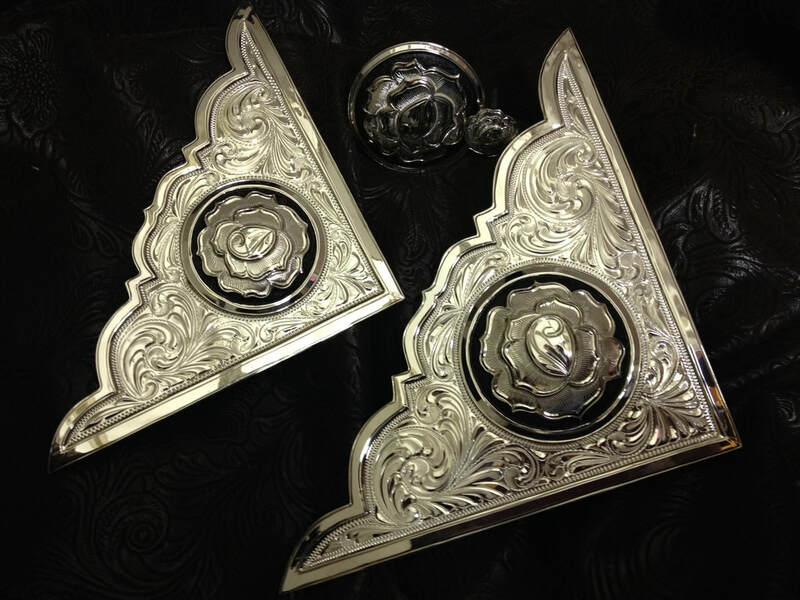 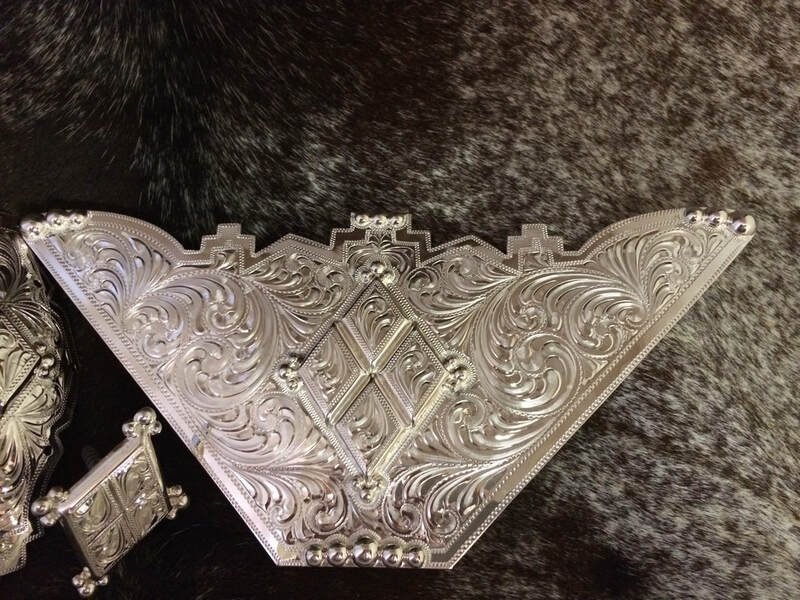 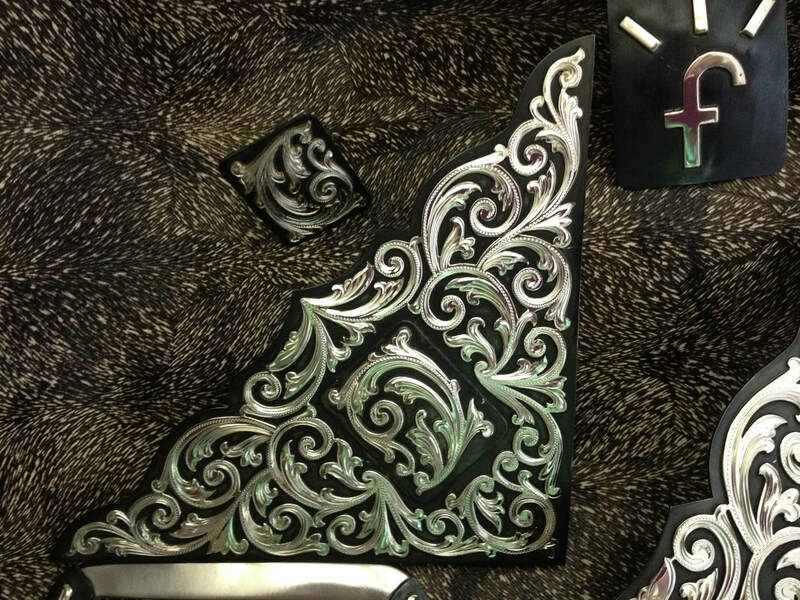 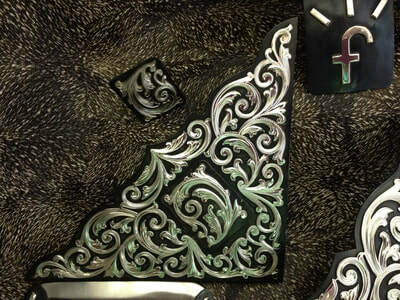 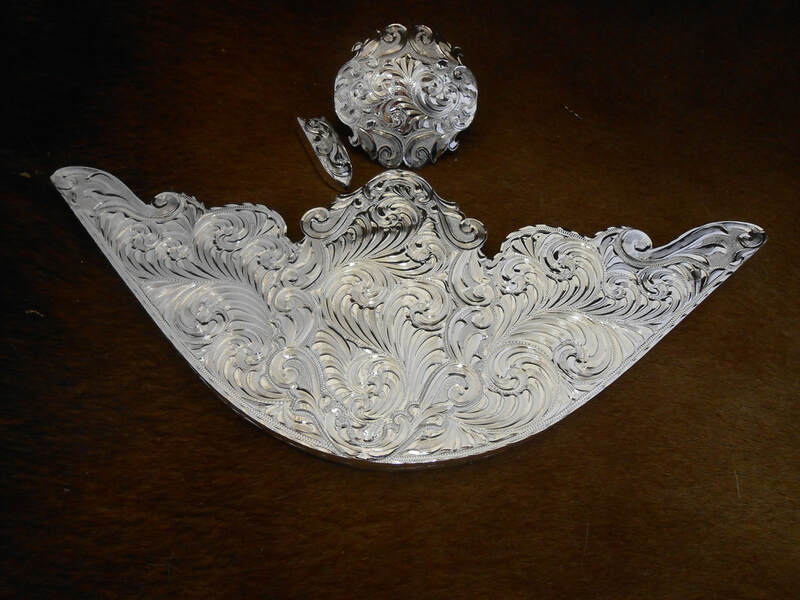 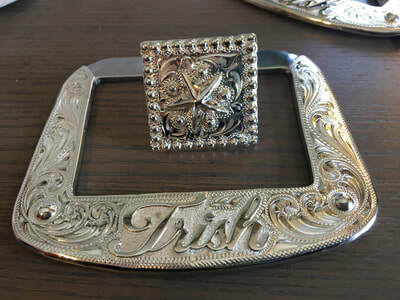 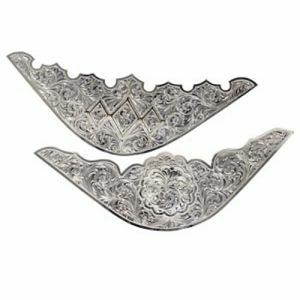 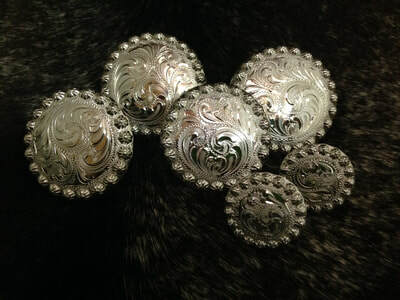 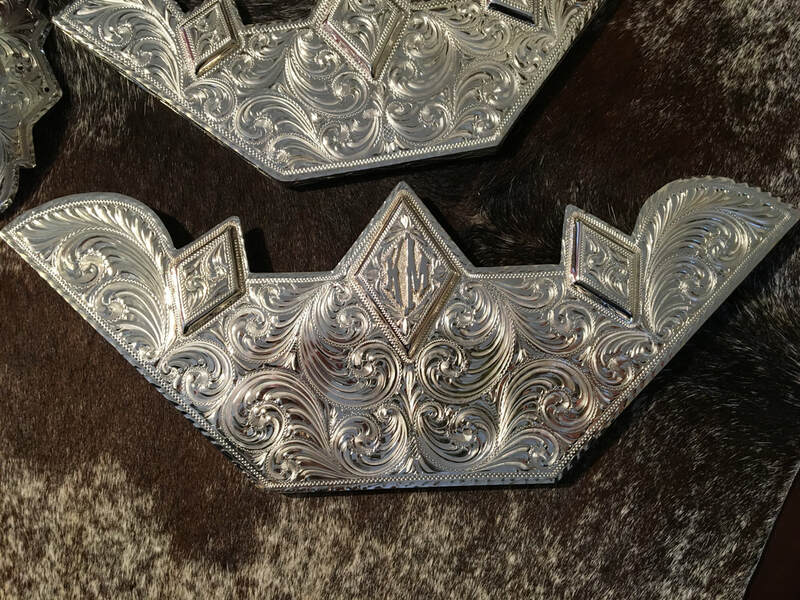 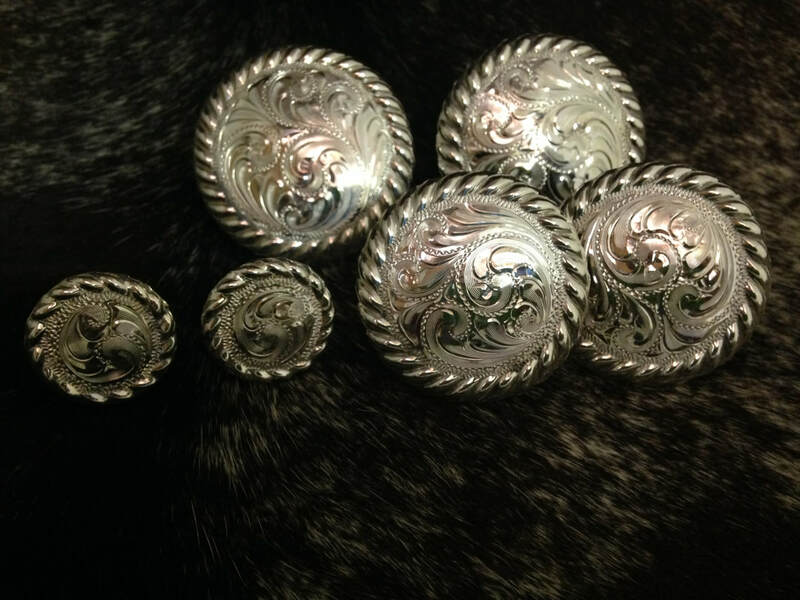 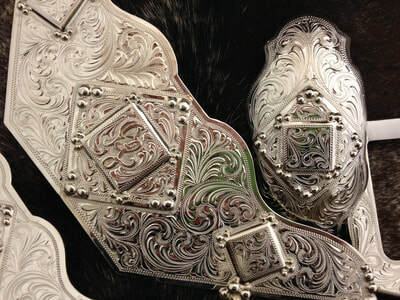 Here are some examples of Kathy's sterling overlay silver patterns that may be used on our sterling overlay saddles. #30 is the upper left with the unique grape leaf design and the #20 is below with the lovely scrolling. 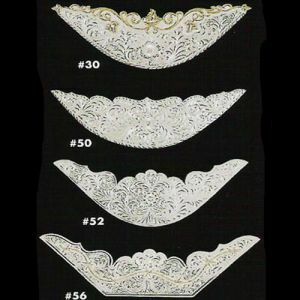 Any pattern may be changed to fit your taste. They may be all silver or as shown with jewelers bronze. 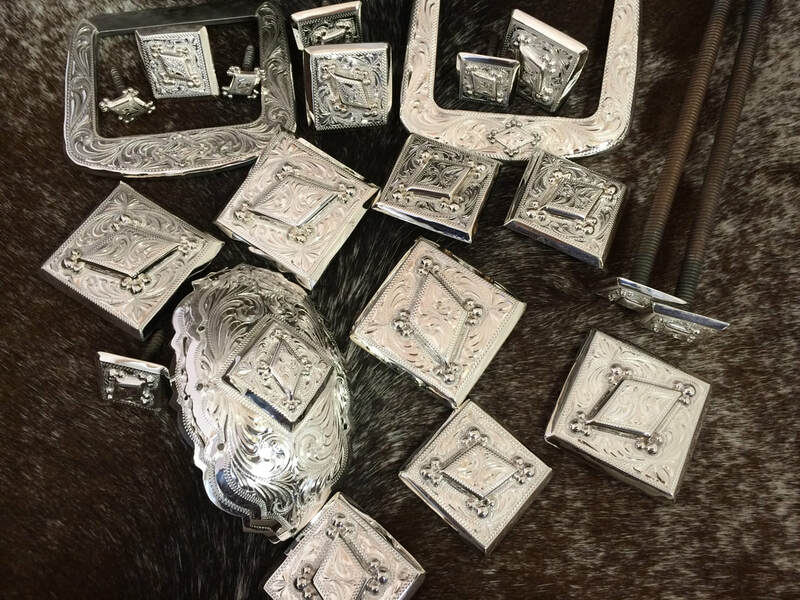 You be the designer or let us help you! 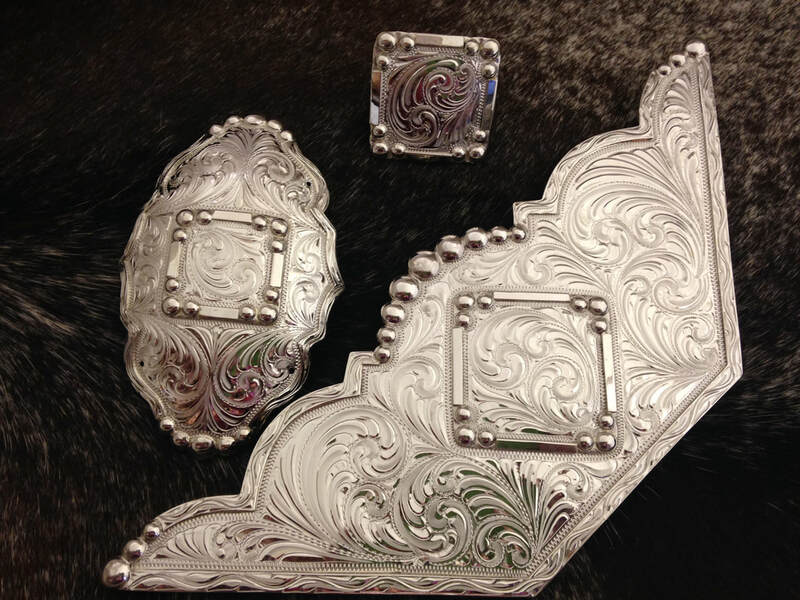 Here are some examples of Kathy's sterling overlay silver patterns that may be used on our sterling overlay saddles. 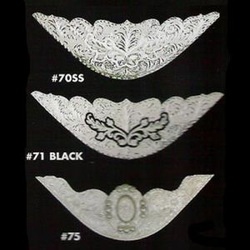 Here are several patterns for you to choose from or change to make it your own. 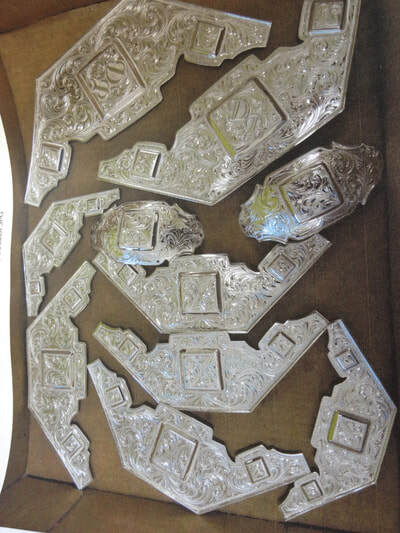 They may be all silver or as shown with jewelers bronze. 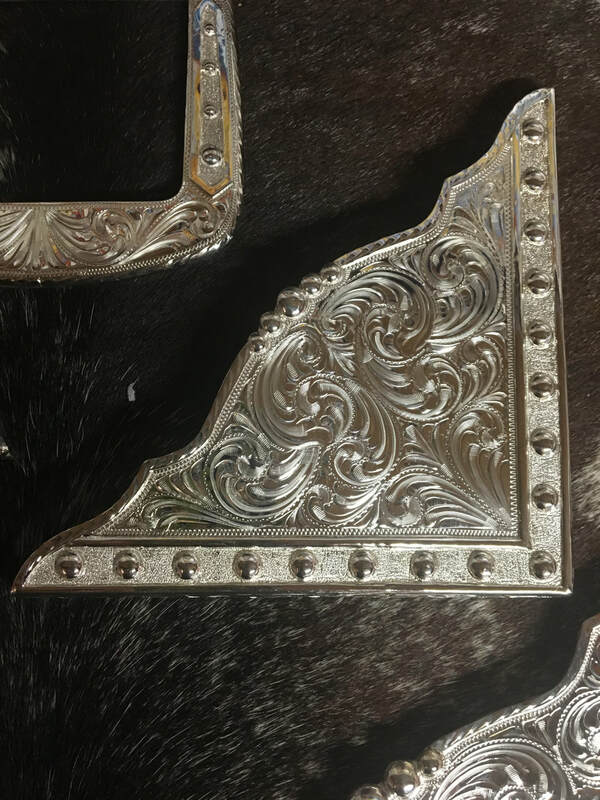 You be the designer or let us help you! Here are some examples of Kathy's sterling overlay silver patterns that may be used on our sterling overlay saddles. 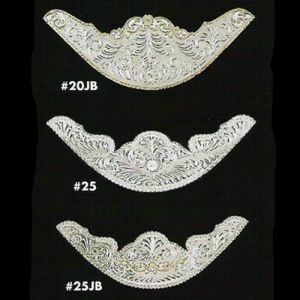 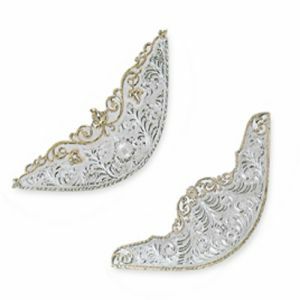 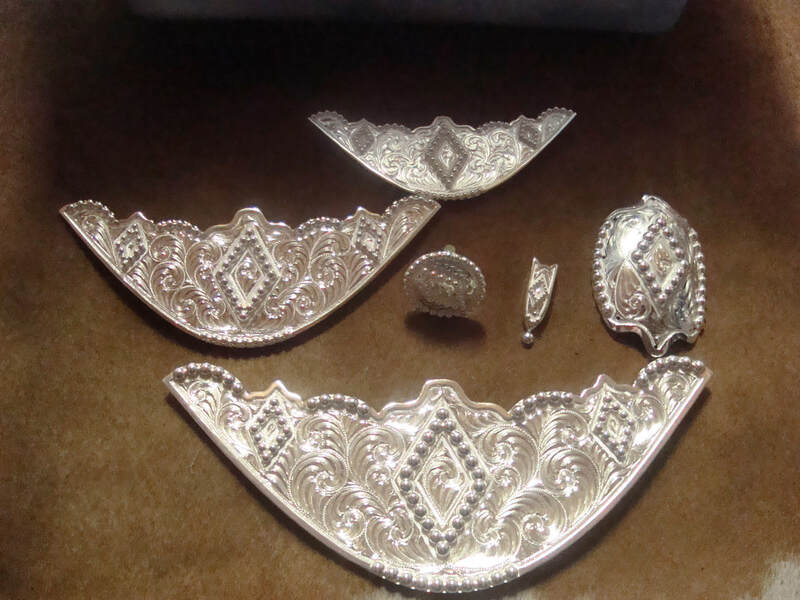 #62 is the upper left with the unique raised scalloped oval design and the #64 is below with sharp triple diamond design with a great scallop edge. Any pattern may be changed to fit your taste. They may be all silver or as shown with jewelers bronze. 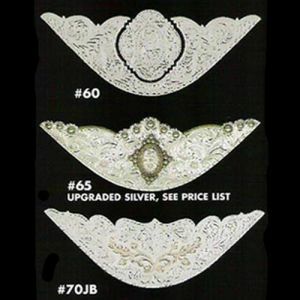 You be the designer or let us help you!